Are you trying to find the perfect Chino Hills dental office? It is a tricky task, trying to find a good dentist that you can trust for your needs, but once you understand its relevance, you will discover that your priorities will be met easily. When you understand what you need and you know what you are looking for, finding some direction will be simpler. There are many dental offices out there. There are a number of Chino Hills dental clinics in the area. When you choose a dental office, you choose one with the appropriate license and registration to practice, because this gives you perfect confidence in its ability to meet your needs. Looking into the office’s affiliations will also give you an idea of its status in the professional scene. A clinic that is recognized by the most reputable associations and organizations is a clinic that you can confidently trust for your needs. The location of the clinic is very important because it affects your willingness to visit ad come for appointments. When the dental office is conveniently located near your office or home, trips to the dentist are better kept and hardly avoided. Is the dental office accessible to you for travel? Is it accessible via commute? Is it located at the first floor of the establishment? When the dental office is highly accessible, patients are given no reason to make excuses. A great hindrance that patients often encounter with dental treatment often relates to money. Dental treatments are often expensive but if you find a dental office that can make dental treatments more affordable, it will be easier for you to make a decision to receive treatments from a particular dentist. Every little penny saved is money that can be put somewhere else and when there is a way for dental treatments to be made affordable, this is a good thing. It is also important for you to look into the services that are offered in the dentist office and if they have any specialty to offer, you should find out about these as well. By finding out about the dentist’s services and specialty, you get to determine how well the clinic can address your own needs and requirement. The work that a clinic does is reflected on the reputation they have maintained through the years that they have served in the practice. The people who have had the privilege to be under the care of a particular dentist usually takes the time to make mention of any great things they can note about the level of care and service that was afforded to them. By looking into the reputation that the dental office has established, you get a glimpse of what you can expect. Every dental office chooses to present themselves a certain way. 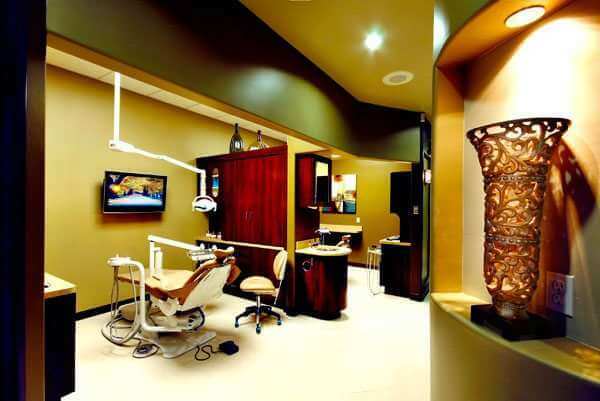 Every dental office is unique it is shown in the clinic features and amenities set up for patients that ought to define their treatment experience. Dental offices aim to turn potentially threatening dental visits to positive experiences. A properly planned and designed dental office can make certain of this. There are so many things to consider when you are looking for a dentist to trust. The best Chino Hills dental office is one who is able to satisfy all your needs and requirements, so that your dental concerns are addressed effectively.